What’s the old saying? Insanity is repeating the same act over and over and expecting different results? Or is that stupidity? 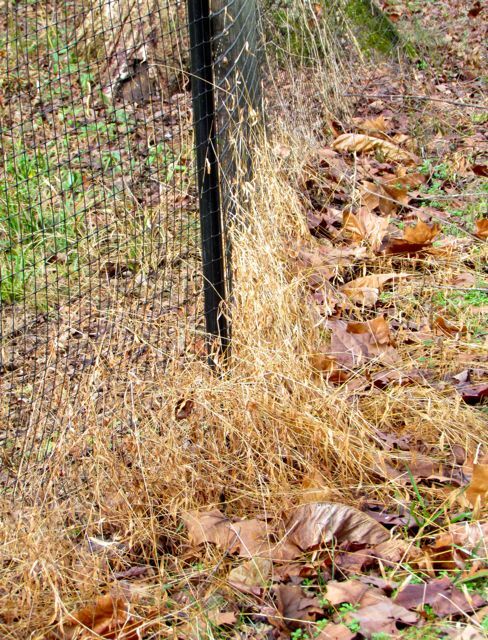 Either way, on my five acres of North Carolina Piedmont, my greatest exercise in futility is probably attempting to remove/control Japanese Stiltgrass (Microstegium vimineum). Oh, how I despise this invasive exotic plant species. Let me count the ways. 1. It is ugly and covers everything. As you can see from the above photo, it grows tall and droops over everything, living and inanimate. 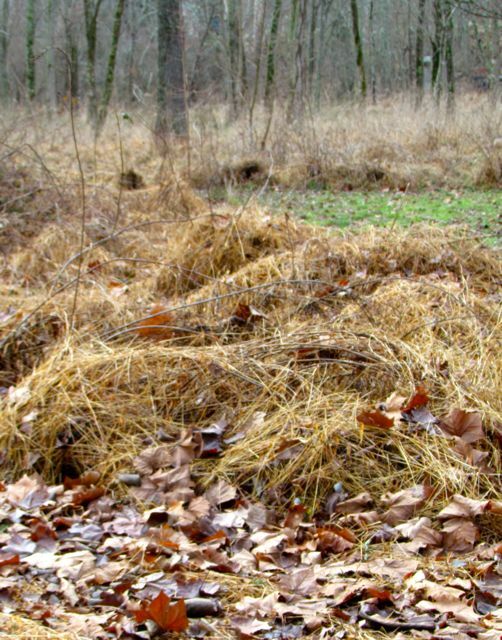 Even when this annual grass dies with the frost, its straw-like dead remnants bury my landscape in destructive brown yuck. 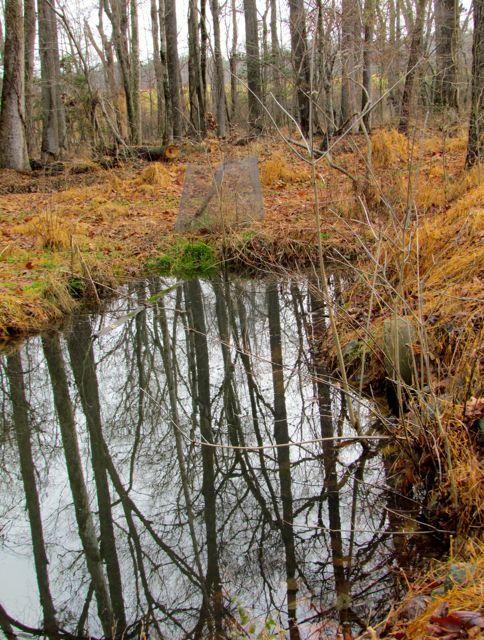 That’s a little pond that fluctuates with the level of the perched water table on my floodplain. I’ve surrounded it with myriad well-adapted wildflowers and native shrubs. But you’d never know it by that photo. It’s one of the areas that I didn’t weed this year. Now my pond environment pays the price. 2. 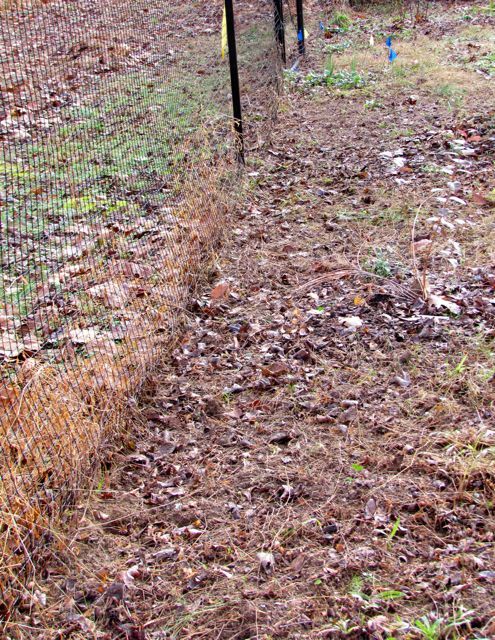 It creates rodent habitat that thwarts predators. 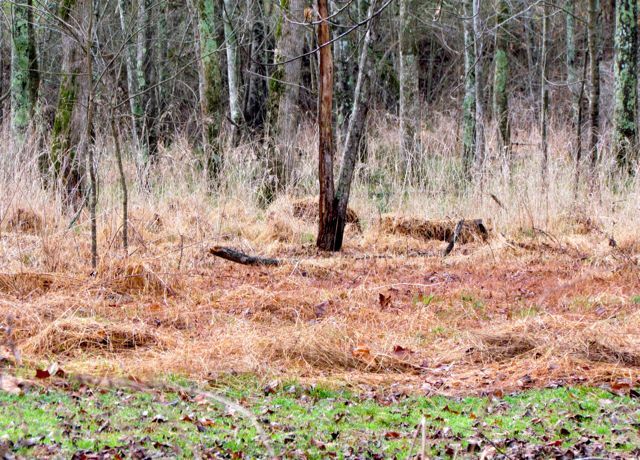 As these evil invaders create grassy hummocks over logs, shrubs, and small trees, they create excellent cover for field rats, deer mice, and voles. It’s a tunnel-filled grass metropolis in there. You’d think a rodent population boom would benefit my native predators, especially the Barred Owls and Red-Shouldered Hawks. Alas, no. The grass is so thick and covers so much territory that the rodents can largely conduct their business without ever coming into the open and risking capture. 3. It destroys/alters native plant communities. That’s the edge of my property on the floodplain in the above photo. The green area is where we stop mowing (we mow to reduce tick and snake issues). The hummocks of straw-like material are mounds of Japanese Stiltgrass, which are growing on an area that we used to mow before we figured out it wasn’t technically our land. Behind the Stiltgrass, you can see native floodplain vegetation still trying to fight the onslaught of the invader. It was there undisturbed before the Microstegium took hold. 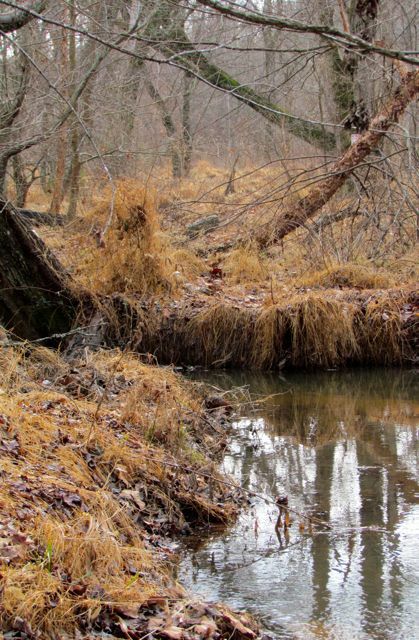 If our floods ever return, that vegetation will likely be overwhelmed. That’s how the Microstegium got to our property — via floodwaters. Back in the pre-drought decades (how I miss them), our creek usually flooded spectacularly 5-8 times a year. As more and more developments sprouted up nearby, removing forest cover, Japanese Stiltgrass appeared in those developments (probably from seeds off bulldozers and other heavy equipment). This annual produces a lot of seeds, and one of their favorite modes of transport is water. Rainwater runoff carried seeds from those developments into my creek, where floods deposited them on my floodplain. 4. It has killed almost all the wildflowers and ferns that grew along my creek 15 years ago. As you can see in the above photo, the nasty stuff overwhelms everything. Delicate ferns and wildflowers don’t stand a chance. 5. Every object I introduce into my garden is a potential Microstegium support, even though that is never my intention. In the above photo, Japanese Stiltgrass climbs the deer fencing on my north side. I can’t mow right up against the fence because of the way it’s installed. Weedeaters don’t work there either. Hand-pulling is the only option. That’s back-breaking, knee-creaking work. And if you don’t do it before the grass sets seed in mid-summer, what you pull returns a hundred-fold anyway. Did I mention something about an exercise in futility? 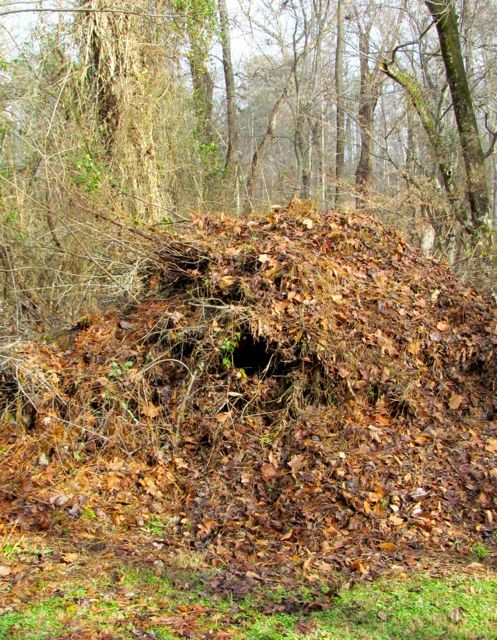 If there’s any good news there, it’s that Mount Brushmore is excellent winter habitat for a variety of birds, raccoons, and possums. 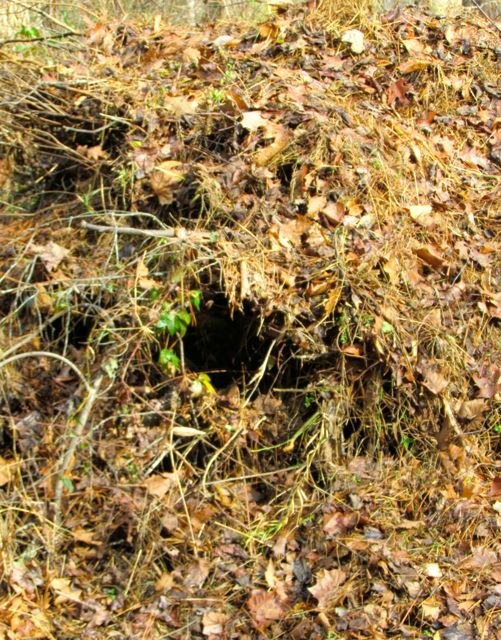 Air pockets created by piled branches are covered by the thick mass of grass and leaves, creating a thatched roof of sorts that repels rain and insulates against cold. 7-1000. Multiply the above reasons by the number of seeds one plant produces in a season. That’s right. One plant can produce up to 1000 seeds. Contemplating the math is not advised for gardeners with high blood pressure. When I roamed North Carolina Piedmont woodlands and stream sides as a child and young adult, Japanese Stiltgrass was nowhere to be seen. This invader has transformed/destroyed Piedmont wetlands in just a few short decades. The deer won’t eat it under any circumstances, but they do enjoy sleeping among the hummocks in winter — instant straw mattresses. I wouldn’t dream of trying to control it with herbicides — not on a wetland, and not with struggling native grasses still present. One faint hope may be appearing. In Virginia, a fungus has been found to be infecting colonies of Microstegium. The grass seems to be severely impacted by this fungus, and scientists are studying it to determine its origin and whether it can be safely introduced elsewhere to control infestations of Microstegium. All my fingers and toes are crossed on that one. I’ll keep you posted. Meanwhile, I’ll continue to spend my winters raking dead Japanese Stiltgrass off of plants and structures in the hopes that next growing season I’ll be able to pull the nasty stuff before it sets seed. Oh, did I mention that seeds remain viable in the soil for many years? Yes, sometimes I do wonder why I try to garden at all. This entry was posted on January 13, 2012, 11:55 am and is filed under Native Wildlife, piedmont gardening. You can follow any responses to this entry through RSS 2.0. You can leave a response, or trackback from your own site. Oh boy, am I in agreement. I couldn’t have said it better. Hateful stuff. I still remember when I first saw it when I lived in Chapel Hill. It was in the 1980s and I saw a little clump growing beside a brook in the woods across from my house. I actually thought it was pretty. Oh, how naive! Yes, the stuff is insidious, isn’t it, Marcia? Thanks for stopping by. It’s bad here in the MD Piedmont as well — the stiltgrass/white-tail synthesis seems to hold up. I’ve found documentation to the effect that 3 species of native butterfly larvae: Carolina Satyr, Mitchell’s Satyr, & Northern Pearly Eye use it as forage. I wonder if any state or county facilities have considered raising and releasing local populations of these species for control and conservation purposes? A great question. I will keep my eyes open for information about this. Thanks for stopping by!